Don't miss this chance to connect with the key leaders of our Smart Nation effort in Singapore! Smart Nation Singapore is partnering with Amazon Web Services to host a gathering of Singaporean tech professionals spanning Seattle and Singapore. Join us for an evening of casual panel discussion and networking, together with Ng Chee Khern, Permanent Secretary for Smart Nation and Digital Government, and Quek Yang Boon, GovTech’s Director of Sensors and IoT, who will share on Singapore’s Smart Nation transformative journey. Registration is free. Limited seats available. Successful registrants will receive a confirmation email. Dinner is provided. Mr Ng Chee Khern leads the Smart Nation and Digital Government Group formed in May 2017. In this role, he leads the government’s efforts in driving the development of digital enablers for citizens and businesses, and applying digital and smart solutions to improve the lives of citizens in a Smart Nation. Mr Ng was previously Permanent Secretary (Defence Development) in Singapore's Ministry of Defence where his portfolio covers defence research and technology, capability development and acquisitions, and defence administration. He was concurrently 2nd Permanent Secretary in Singapore’s Ministry of Health from August 2014 to February 2016 where he oversaw the overall operations, emergency preparedness and capacity building for the public healthcare sector in Singapore. He is also the Chairman of the Government Technology Agency of Singapore board, and a Director of the boards of CapitalMall Trust Management and the Eastern Health Alliance Pte. Ltd., and a board member of the National Research Foundation (PMO). Mr Ng was a recipient of the President's Scholarship and Singapore Armed Forces Overseas Scholarship in 1985. He holds a Bachelor of Arts (Second Upper Class Honours) and a Master of Arts in Philosophy, Politics and Economics from the University of Oxford. He also graduated with a Master of Public Administration from Harvard University. Yang Boon leads the Sensors & IOT team at GovTech. The Internet of Things (IoT) Centre of Excellence (CentEx) in GovTech is responsible for building sensors and IoT engineering capabilities and exploring their applications in the public sector to enhance operational productivity and benefit citizens in realms such as safety, health and environment. Inspired to share his engineering know-how and contribute to Singapore’s Smart Nation vision, Yang Boon joined GovTech in 2017 after 16 years in the United States. Yang Boon was previously with Apple (Cupertino, CA) where he was responsible for the design and development of the sensor module of the Digital Crown in the Apple Watch. Before Apple, Yang Boon worked in Texas Instruments (Dallas, Texas) Audio group and had an expatriate stint in Shanghai, China where he helped build and manage a R&D centre. Singapore Tech Forum will take place at the Seattle Headquarters of Amazon Web Services, which is conveniently located in Seattle. Further details on the event location will be provided to registrants closer to the event. Sign in at the registration desk and follow directions to the event. This event is co-hosted by Smart Nation Singapore and Amazon Web Services. 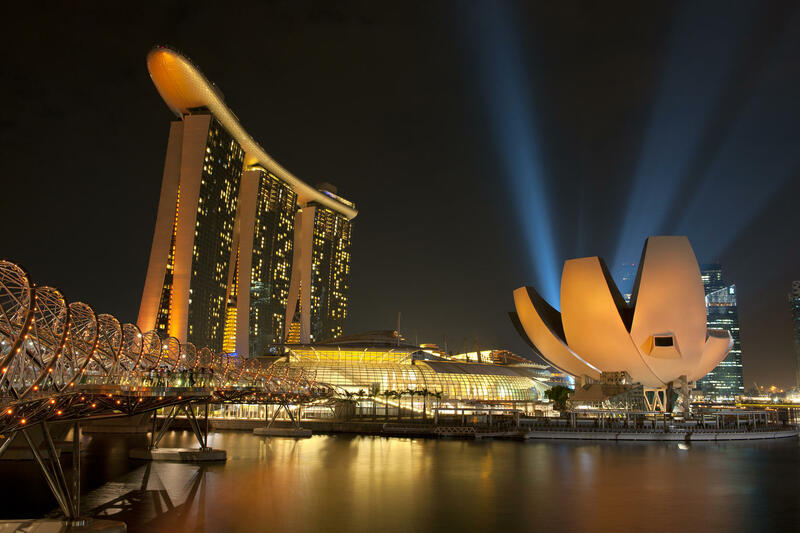 Smart Nation Singapore aims to create opportunities for Singaporeans in tech abroad to keep updated of tech developments in Singapore and the broader Asian region, as well as build professional connections with tech companies back in Singapore.We bring Singaporeans, businesses and the government together to harness infocomm technologies, networks and big data to create tech-enabled solutions. The Smart Nation and Digital Government Office (SNDGO), under the Prime Minister’s Office (PMO), plans and prioritises key Smart Nation projects, drives the digital transformation of government, builds long-term capabilities for the public sector, and promotes adoption and participation from the public and industry, to take a collective approach in building a Smart Nation. The Government Technology Agency (GovTech) seeks to transform the delivery of government digital services by taking an “outside-in” view as well as facilitating collaboration with citizens and businesses to co-develop technologies. For more information, please visit www.smartnation.sg.